Experiential design isn’t just a buzzword in marketing. Not only can it be effective for businesses trying to gain customers, there are many other creative uses for this artform. Experiential design is used in art shows, private events, and more recently, live music performances. This should be somewhat obvious, but many designers focus on creating elements that “look cool,” yet are not on-theme with a brand’s message or persona. You must choose elements will add value to the live performance and will drive home the artist’s main message, persona, or theme of their tour. Album art or music videos can serve as great sources of inspiration. Offering design elements that are easy to operate and maintain can solidify your relationship with an artist. If your equipment malfunctions or doesn’t operate as intended, no matter the reason, the artist will be disappointed and more likely to choose another partner for their next stage design. While you might have access to a tour technician, you still want to ensure the equipment is easy to use so that you can eliminate as much of the learning curve as possible. Custom fabricated lighting and set design pieces are some of the most difficult to create because they have to be mobile. You must choose your materials carefully to ensure they are easy enough for a roadie to transport, and durable enough so that if they are tossed around on the trailer, they won’t be permanently damaged. Using waterproof materials when possible is also a plus, making your equipment safe for outdoor concerts. 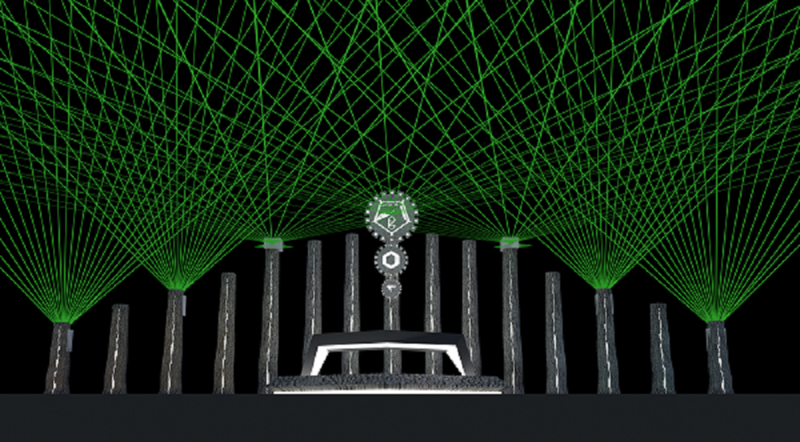 Just recently, AltEthos built a stage design for experimental electronic musician CloZee who draws on musical inspirations such as Tipper and Amon Tobin. CloZee incorporates intricate light and projection displays into her theatrical performances. We offered her several nature-inspired units using LEDs to cast changing light onto the stage. Alt Ethos created several free-standing tree trunk units with muslin finish and placed an LED bar to shine through a frosted crack in the surface. The units contain a simple, detachable backboard for maintenance, and come in custom carrying cases for safety. You can view the finished design on our Instagram page. 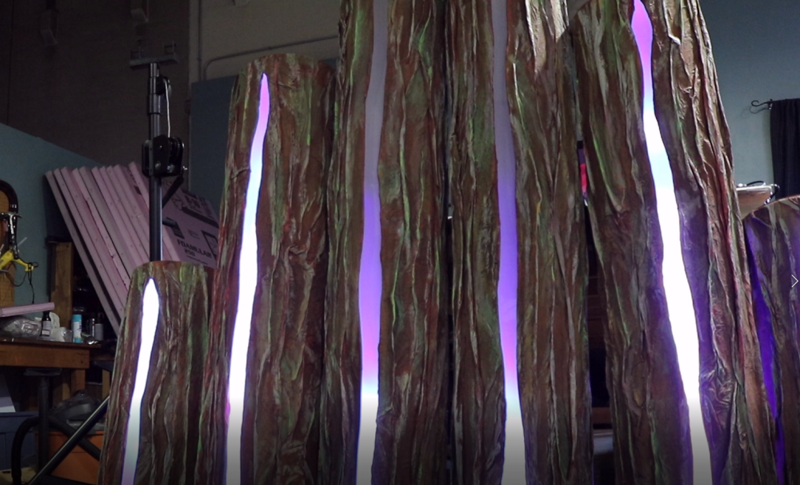 We hope these interactive, colorful trees serve CloZee well on her 2018 tour, as using these three mobile design principles supported our stage design philosophy. For more information on how AltEthos does stage and experiential design, click here.